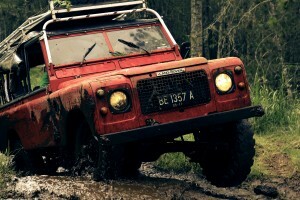 Quick Tips to Help Make Your Next OffRoad Adventure a Great One! When it comes time for a great off-road adventure, it can be easy enough to think that you can just pack your truck with whatever gear you need, however you want, and be done with it! After all, that’s what the professionals do, right? Wrong. When the time comes to prepare for an off-road adventure, planning is key, and that’s just what this article is all about! Below is some great information from the experts at Bill Rigdon to not only help you pack your vehicle correctly but keep you from getting stuck before you have even had a chance to break the city limits! Start by identifying all of the heaviest items and equipment which you plan to take with you; These are going to be the items that you will want to pack first and on the floor of your vehicle. Even though some of these items are likely to be the first items that you will want to unpack and use once you reach your desired point, they are also going to be the items which are going to help you get there, safely and, often, at all! The reason is simple - gravity. The closer these items sit to the floor of your vehicle and, in turn, the ground you’re driving on, the better position your vehicle will be in when it comes time to navigate through rough terrain which needs your vehicle to reach seemingly impossible angles along the way. The higher up these items sit, the higher your center of gravity, and the more difficult it will be to maneuver your vehicle the way you need to in order to reach those isolated spaces. Of course, once you have these items low to the ground, it’s time to think about what you’re going to store on your roof. Obviously, you will want to put your lightest items on your roof, but it isn’t as simple as that. Instead, look for items which can lay flat on your cargo rack (if you aren’t using a cargo rack, now is the time to get one!) and aren’t going to bend add to your vehicle’s lean. While it may seem insignificant when you’re packing it on top if anything leans over as your reach those above-mentioned impossible angles, it’s going to one thing and one thing only - tip you over! If you do end up packing anything tall on your roof, at least be sure that it’s all held down with necessary ropes or, even better, a sturdy netting. Click here to buy Signature Series 0W-20 Synthetic Motor Oil and keep your engine in the shape it needs to be in for the adventure you have in mind. If you aren’t sure if this is the best product suited to your vehicle needs, don’t hesitate to call an expert at Bill Rigdon at (503) 329-9004 to discuss your vehicle needs. If you prefer, the online store has a information about the range of high-quality products available for you to read at your leisure. Can Your Vehicle Handle It? Of course, the above information is all well-and-good, but it doesn’t count for anything if your vehicle isn’t up to the task. With this in mind, now is the best time to get your vehicle inspected by your local mechanic who knows what you want to do with your vehicle, or, even better, perform the maintenance work yourself. Along with your suspension, be sure to check your fluids, your tires (pressure and condition), your gearbox, your electrics (including your trailer brakes and indicators), along with any other items which you know are going to see strain. If you can see a part which is about to wear out or your fluid lines aren’t flowing as smooth as they should, when you get back from your trip will be too late. Fix it all now and before you leave. There is something special about finding a place so isolated that there is nobody in sight except for you and your passengers. Unfortunately, there is also something special about getting stuck with a broken gearbox or without a battery to start your truck with no help nearby to get you out or to get your home. For this reason, it’s worth considering adding some like-minded adventurers to your trip who can also bring their vehicles. While it may not be the serenity you were hoping for, it could definitely save you if the time comes for you to need some help. If you are insistent that you will be taking the trip by yourself or only with your passengers, at the least, make sure that have access to a phone which can utilize a satellite network to call for help or even choose somewhere in the range of a trusty UHF network to call for help if needed. While this may limit the types of places which you can visit, it will also maximize the chances of you staying safe should the time come. Of course, in addition to this, be sure to share your itinerary with a few select friends or family members, including where you will be going and when you expect to be back. If the situation arises where you aren't able to contact help, despite your best planning, this is a great way for the outside world to come and get you. When it comes to a great off-road adventure, all of the packing tips in the world aren’t going to help you if your vehicle can’t make it out of the city before it breaks down. Give the experts at Bill Rigdon a call at (503) 329-9004 to find out more about how a synthetic oil change in Clackamas, OR can keep you off the road for longer and on your way towards adventure!